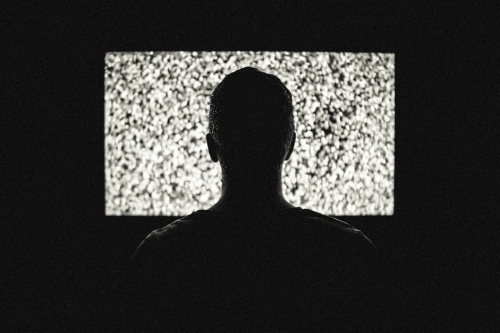 If you’ve ever watched a video on YouTube or Hulu before (we know you have), you’ve definitely been exposed to video advertisements. You know the ones — short clips that run prior to the video loading or that appear in commercial format throughout your stream or even a regular display ad unit that has a slideshow type animation. As the owner of an eCommerce business and one who is ready to ramp up their marketing and advertising for the holiday season, we have some great news: video ads are extremely engaging and have been shown to lead to higher conversion rates than traditional ads! You might be thinking, do these video ads need to look like a BMW commercial to be successful? The answer is absolutely not. The “video” can simply be static product images that rotate in a carousel. Further, just by watching a video with an ad placed in it, 64% of users are more likely to make a purchase. And, 90% of users say that product videos are helpful when they are deciding whether to make a purchase. As of 2016, video ads make up 35% of total online ad spending. To put that into perspective, 2016 is expected to see $5.4 billion in video ad spending. Why are brands investing so much into video ads? Well, they deliver results, particularly on mobile devices. We’re guessing that a lot of the videos you watch online are streamed on your mobile device. YouTube reports that mobile video consumption rises by 100% every year. With such steep growth, it’s easy to see why ads embedded in online videos cast such a wide net. One of the most shocking stats is that the average user is only watching about 16 minutes of video advertisements every month (or about 30 seconds of video advertisements per day) online. That’s actually quite a small proportion when you think about how many minutes of video you stream online every month. What we’re trying to say is the market isn’t tapped out yet, it’s just getting started! This gives your eCommerce shop a tremendous opportunity to stand out from the rest of the crowd. Speaking of standing out from the crowd, that’s one of the most important factors in having a successful Black Friday and Cyber Monday online. With the holidays being swarmed with competition (all who are vying for those holiday dollars), it’s as great of a time as any to choose the road less traveled. So, how can video ads help you sell more this holiday season? Simple: serve video ads with Pollen as we’ve partnered with premium video networks like Hulu, ABC and NBC. Additionally, the biggest and most daunting obstacle for your business is probably the creation of those video ads. Worry not. Pollen has you covered on that front as well and we’re more than happy to take on the leg work of putting together your video ads so that you have the most successful campaign possible. Any questions or comments? Feel free to reply below or shoot us an email at support@gopollen.com to get started today!